From time to time, the team at Lincoln & Mazda of Olympia Group likes to pass along information that will help protect your investment in your vehicle. Here are some ways to protect your car from the damage salt can cause. One of the most important things that you can do to keep salt from eating away at the surface of the paint and the moving parts of the undercarriage is to get to a car wash weekly. Unlike hand washing your vehicle, the high-pressure water from the machines at the car wash get deep under the vehicle and remove salt that could be rusting moving parts. 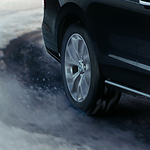 Another way to reduce the likelihood of salt rusting the undercarriage, avoid driving through deep snow. Deep snow forces salt in the snow to be compacted into the parts under your vehicle, and if the temperatures stay cold, that snow will never melt as the salt continues to corrode moving parts.